Should you Pay $5 to Promote Your Facebook Post? If you have a professional Page on Facebook like me, I bet that every time you post something, you are constantly asked if you would like to Boost or Promote your post. So, after having it thrown in my face everyday, I finally decided to investigate to see what Facebook claims what level of exposure they can do for me if I choose to hand them my money. First, this service becomes available to all Facebook Professional Pages once they have over 400 Likes. $5 is the minimum you can spend to promote your post, so I wanted to do some analysis to see if the ROI is worth it or not. On my page, for a $5 budget, it says, “This budget will reach an estimated 1,200 – 2,300 out of your potential audience of 140,000 people.” The more Likes you have, the higher this estimated number will be. In addition, the higher your budget, the more your estimated reach is. For example, if I spend $30, it says it will reach an estimated “4,100 – 7,700 people”. However, keep in mind that the reach you see when you promote your Page post is an estimate and may be affected by how many other promoted Page posts are running at that time. This video shows what they claim it can do – that your promoted post will appear in the regular News feed and your exposure/audience will increase as a result. Everytime one of your followers interacts with your Promoted Post (either via a Like, a Comment, or a Share) your promoted post will become viewable to that person’s friends (and so on). This is different from a Facebook Ad. FB ads show up to the right of the News Feed, and if look at this analysis of user’s Visual Attention Level as to what user’s look at on Facebook, you’ll see that Facebook Ads are just about useless, but Promoted Posts are great! But in order for it to be worthwhile, business logic tells you that you need to get a Return on your Investment (ROI) for any marketing endeavor. So, as an author with a book for sale on Amazon for $0.99 (and I earn $0.35 per sale of the book), I would have to sell 15 copies of my book in order to make a profit from spending $5 on promoting my Facebook post. However, maybe I’m looking at this the wrong way. 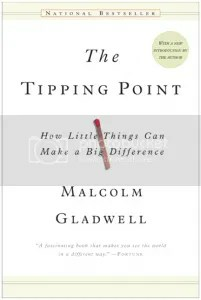 Maybe I shouldn’t be thinking of money as my Return on Investment (ROI), but I should be thinking about new readers as my ROI. If this $5 gets me a single new reader that loves my book, his/her enthusiasm for my book will in-turn convince others to purchase my book. (AKA a Maven, as stated in one of my earlier posts). Such a reader would be called a fan, and building a fan-base is the lifeblood of every author. Fans will most likely purchase your other books and continue to write great reviews. So, it appears that promoting a post on FB, especially if you are advertising a sale, is a good way to go. You may want to think about posting it during an optimal time of the day, when most people are on Facebook and can engage with your post. If anyone has promoted their Page posts before, please feel free to share your experiences below. Comic Con is a 4-day event filled with booths, attractions, and more for every sci-fi and fantasy entertainment medium for all ages. Some say it is a celebration of the popular arts, but the industry uses this event as the mecca for promoting all nerd-related activities. During my visit on Saturday (July 20th), I saw streets filled with people. I passed by screenwriters working on their WIP in a coffee shop, I saw celebrities, I saw numerous people dressed as their favorite characters, and I saw bloggers & reports capturing their experiences in photos and words. To get an idea of how huge this event is, in 2010 they filled the San Diego Convention Center to capacity (130,000) and ever since, they have been expanding the booths and attractions out into the public, taking over streets, occupying vacant business buildings, and taking over and converting restaurants and hotels. 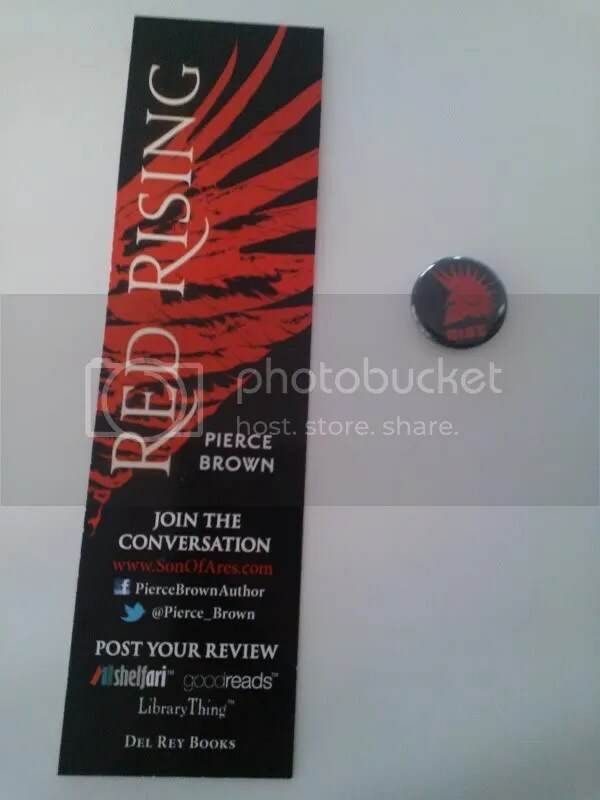 It’s a massive event, and when I was approached by 5 girls – all wearing red clothing and red wigs – they handed me the promotional bookmark and button for Pierce Brown’s next science fiction novel: Red Rising (published by Del Rey Books). The back side of the bookmark says it is the most anticipated novel in 2014, and contains a bunch of great reviews. This is a brilliant promotional strategy. Someone in a picture-worthy costume to pass out the fliers. Giving out a flier is one thing, but making it into a bunch of people’s photo albums is one of the greatest ways to inject yourself into their memory of their experience at Comic Con. Mark my words, as soon as I have a release date for The Soul Smith, I will hand-build an epic cosplay of Erador (the character on my cover) and walk around while passing out bookmarks and buttons at Comic Con. This is a new post that is different from my others, and I hope to do more like this down the road, but this is especially unique since the author I am featuring is a Romance author (and I tend to focus around Fantasy, if anything). Sylvia Day is what I would consider a very successful author and regardless of genre, there is something we could all learn from any author’s success and/or failures. Since my wife is a big fan of Sylvia Day, I have come to learn a lot about this author by proxy and since today (6/4/2013) marks the release of her newest book, Entwined With You, I thought it more than appropriate to speculate on the events that occurred. Sylvia Day’s marketing plan for her newest book was impressive. This is the 3rd book (out of 5) in her Crossfire series. To develop hype for the release of her new novel, she released a “Snapshot” for each of her chapters once a week on her social networking sites, all the way up to the release date of her novel. The snapshot was simply just a picture that was a clue to give readers what that chapter was about. 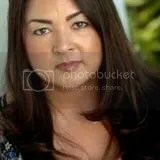 She received hundreds of comments per post from all the fans guessing at what the picture infers about the story. Leveraging her 63,000 Twitter followers and over 89,000 Facebook likes, this was an extraordinarily simple and successful marketing method. 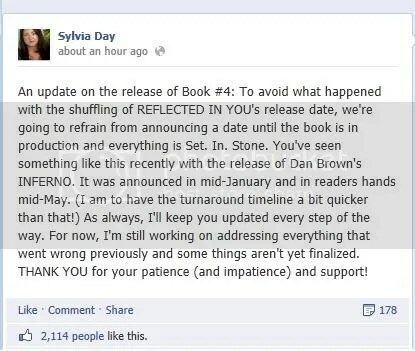 In addition, my wife has informed me that Sylvia Day can finish writing a novel in just 3 months time. Must be nice to be a full time author, right? Well, let’s look at it from this angle. According to my wife, the two main characters, Eva and Gideon, were completely different in this book from the first two. Is this a side effect of the author spreading herself too thin by having too many projects going on at once? I’ll say this, if you are an author (published or not) it is definitely something to be aware of, as spreading yourself too thin degrades the quality of your work. If you are writing multiple novels at once, you might not be as engrossed in your characters as you would be if you focused on one novel at a time. Watching the release of Entwined With You today (6/4/2013) confirmed that my wife is not alone in her opinion of the book. As evidenced by the NUMEROUS 1 Star reviews on Amazon, Sylvia’s characters and her story took a turn for the worse. Some say that this is because she turned what was originally designed to be a trilogy into a 5-book series. It’s interesting to see the backlash from readers on this when you consider Christopher Paolini and his Inheritance series. He did the same thing and stretched his story from 3 books into 4, but he did not receive the negative criticism that Sylvia Day received all over her Amazon reviews and her Facebook page. This is why planning and outlining your story is so important, and if you must deviate from your plan, ensure that it is handled with care.